Choice of 1 Large Yellow Triangle Size Soda Vending Machine Price Label, Self Stick Sticker for indoor or outdoor use. 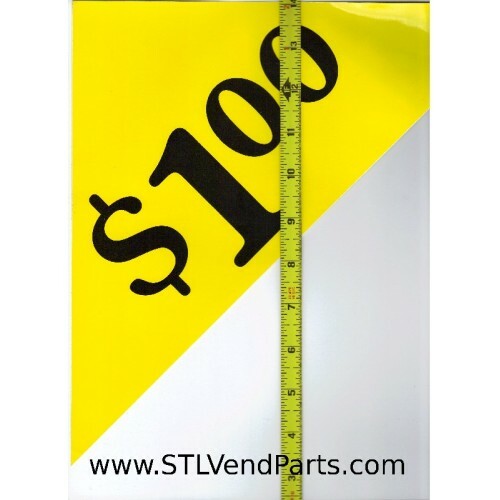 These triangular shaped stickers are approx 11" x 15" They have a bright yellow background with Black Letters. To See a List of Prices already in Stock enter DLAA1131 in the search box. Most other prices are available, just ask in Email.